Maryland state delegates from District 15 (responsible for Germantown, MD where Leroy Carhart performs risky late-term abortions at Germantown Reproductive Health Services) were "warned" in August 2012 about the possibility of Leroy Carhart killing a patient. Maryland state delegates Rob Garagiola, Kathleen Dumais, Brian Feldman, and Aruna Miller were notified of the dangers posed by Leroy Carhart and ignored the plea for help. Below is an email conversation received by PrayForCarhart. My worst fears have come true. I wanted to pass along the tragic news to you. A 29 year old patient died yesterday in Germantown, MD following an abortion of her 33 week child. Leroy Carhart performed the procedure at Germantown Reproductive Health Services. The patient tried to contact Leroy Carhart the day after the procedure, but was unable to do so because Carhart was not available. Her family drove her to the hospital where she passed away. This is a horrible, unnecessary tragedy that is putting women's lives at risk. Please take action to make sure Leroy Carhart, who lives in Nebraska and flies to Germantown Maryland to perform these risky procedures is not allowed to come back. We need to protect the health of women. Thank you for sending out your recent "AnnapolisReport." I appreciate you taking the time to update everyone on what is going on in District 15. I am a resident of Germantown and I am very concerned about what has recently been taking place in out community. As you are hopefully aware of, in December 2010* Dr. Leroy Carhart started performing 2nd and 3rd trimester abortions at Germantown Reproductive Health Services. 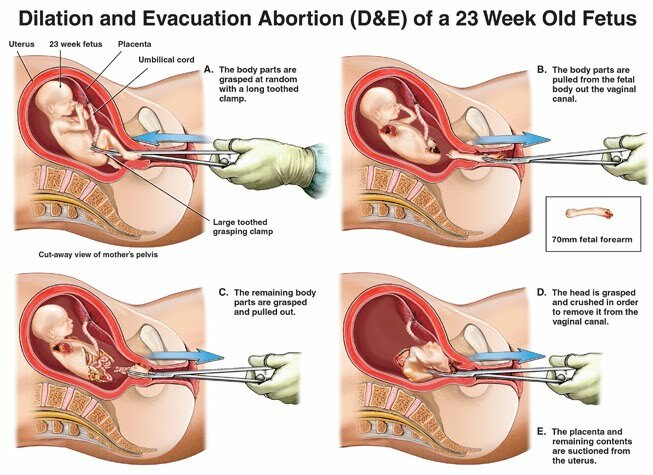 Carhart lives in Nebraska and flies to Germantown each week to perform these late term procedures (abortions past 20 weeks are illegal in Nebraska). I am very concerned about the welfare and safety of the women who are seeking abortions from this Nebraska doctor. Below are two recent articles that are very disconcerting. Recently in Nebraska, Carhart's abortion facility had to call 911 to save the life of one of his patients. And a very concerning article about how Carhart is illegally dumping hazardous medical waste, blood borne pathogen material, and unused medications into the dumpster. This is very concerning to me and has potentially exposed the other residents of the office complex and neighborhood to many unsafe patient samples and harmful medicine. Also mentioned in the article, Carhart is dumping personal patient information (full names, addresses, procedure details, etc.). I live about a mile down the street from Germantown Reproductive Health Services and I pass by the office complex every day. There are constantly people there protesting outside of the abortion clinic. Recently, there were over 2,000 people there to protest. http://www.prayforcarhart.com/2011/12/thousands-gather-to-mark-one-year-since.html. There is obviously a large number of people who have strong feelings about this situation and your attention to this situation is critical. As my representatives, I ask you to investigate the practices performed at Germantown Reproductive Health Services, as well as the recent botched abortion and illegal dumping of hazardous medical waste. Please take action to ensure the lives of these women are kept safe from this Nebraska doctor. Please contact me to let me know your thoughts on this situation and what actions you will take.